Detailed demonstrations of therapeutic taping and prophylactic taping techniques within the Mulligan Concept. 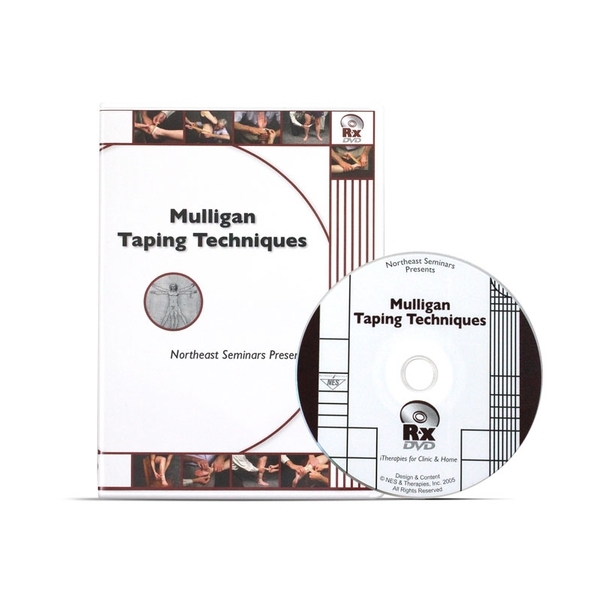 This DVD is a must have for all clinicians interested in the Mulligan Concepts, no matter their level of experience. If you use tape for therapeutic or prophylactic reasons, then allow this DVD to guide you through full-screen, digital video clips of Brian's innovative and effective techniques. Authored by Rick Crowell, PT, MS, GDMT, FAAOMPT, MCTA, and Julie Paolino, PT, ATC, MCTA. 27 video clips that teach & demonstrate Mulligan Taping Techniques. Principles & Pearls of Mulligan Taping. Taping Techniques originated & perfected by Brian Muligan FNZSP(Hon. ), DIP MT.